A friend asked the other day why we have a bris (circumcision). I rambled on about health, tradition, old people, eight days, pain and a whole lot of other nonsense before leaving this one to you. If circumcision is what G‑d wants, why aren’t we born circumcised? G‑d created the world imperfect, and gave us the mission to perfect it. G‑d created wheat; humans make bread. G‑d created a jungle; humans create civilization. The raw materials are given to us, and we are to use our ingenuity to improve on the world that we were born into. This is symbolized by the bris—we are born uncircumcised, and it is up to us to “finish the job.” This is also true metaphorically. We each have instincts and natural tendencies that are inborn, but need to be refined. “I was born that way” does not excuse immoral behavior: we are to cut away any negative traits, no matter how innate they may seem. Why on earth would G‑d choose circumcision to represent something sacred? Jewish spirituality is about making the physical world holy. The way we eat, sleep, work and procreate should be imbued with the same holiness as the way we pray; our homes should be as sanctified as our synagogues. We find G‑d on earth just as much (and perhaps more) than in the heavens. So we put a sign on the most physical and potentially lowly organ, to say that it can and should be used in a holy way. In fact, it is in sexuality that we can touch the deepest part of our soul—when we approach it with holiness. Why circumcise a baby? Wouldn’t the statement be more powerful if it were made by a mature adult? The circumcision is performed when a child is still not aware of what is happening. This is because the Jewish connection to G‑d is intrinsic: whether our minds believe in G‑d or not, whether our hearts love G‑d or not, our souls know G‑d. We can join the covenant with G‑d even without being consciously aware of Him, because subconsciously we already know Him. Why Aren't Men Born Circumcised? No Set Payment for the Circumcision? Does the Baby Feel Excruciating Pain During the Circumcision? A unique look into the “brit,” our oldest observance! God did not create an imperfect world I wholly disagree that God created an imperfect world, because God does not create imperfection. When man fell, i.e. sinned, the world was then tainted, i.e. became imperfect. Man has been striving for perfection ever since. Don't call it Judaism. Torah-true living is not an "-ism" and this term never occurs in the TaNaKh or in the Talmud. It was invented, as an "ism," by the Christian church, along with the word "paganism"--in order to claim that ChristianITY was "better" than these "isms". Sources Could you please list the sources you used to answer "why aren't we born circumcised"? Interesting (to M. Posner) Dear Menachem, Thanks for your answer. I am amazed. If anyone knows why is it so, I would be interested too. Re: Hrm "One does not become Jewish by believing, nor cease being Jewish by not believing". I am not sure if I understand Rabbi Brownstein's explanation fully. I can see that Judaism is not like other religions where the person can claim to be a member of a faith just by saying 'I believe' , since Judaism (in the Orthodox sense) entails much more than mentally saying that you believe. Why would a woman convert need anything that a woman born of a Jewish mother does not need? Circumcision is necessary to enter the Abrahamitic covenant. It was not required of Sarah Rebecca Rachel and Leah, so why would anyone imagine its being needed by women who convert? However, all Jews need to publicly accept Torah, and all who accept Torah need to go in the mikvah. Rabbi Brownstein is right 100% Just in case my prior post fails to make that clear, his explanation is standard Jewish thought. It's not about "religion" as in performing a ritual to make something happen. It's not about beliefs. It's about a covenant. Read the verses I cited from Genesis 17:9-14. Obeying a covenantal commandment from Genesis is about as vital and basic as it gets!!! It's more fundamental even than the covenant at Sinai. Being Jewish is not a religion but a way of life for a huge "family" of many races. Abraham's "family"--which includes converts and their descendants and members of their households--is bound by the covenant of Abraham as outlined in Genesis 17:9-14. Every boy born to a Jewish woman is born into that covenant. Every gentile who wants to do so can be part of that covenant. Anyone who is not born to a Jewish woman and is uninterested in that covenant is free to abstain from it. 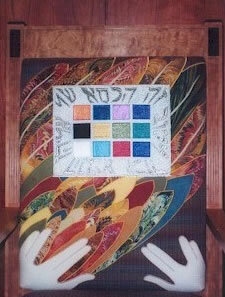 The Oral Torah says that "the righteous of all nations have a portion in the World to Come." I personally believe that Gd may have made other covenants with other groups. In any case, being a Jew is about living in a specific covenant. It's not about getting saved from a non-existent eternal hell. It's not about being clean. It's not about health (although it certainly averts infections that can take refuge under the foreskin, including those that lead to cervical cancer). It's about being faithful to a covenant. response to Hrm. comment It is asked: "Isn't this the same divine power that gave us free will? So why should one impose their religion, regardless of what it is, on a life that has yet to determine its religious affiliation?" That argument is sound -- if we refrain from any religious indoctrination before a child attains adulthood. But the Bris (aside from the future health concerns that equate it to an inoculation), like a Baptism, is the beginning of a religious process of indoctrination. "Saint Paul's Joke" - if you convert to Christianity, you don't need to be circumcised; if you practice it, you should refrain from having kids; if you have kids, you are bound by the Hebrew Law to have a bris for any sons born after your conversion, and they must be raised in The Law. Hrm. Isn't this the same divine power that gave us free will? So why should one impose their religion, regardless of what it is, on a life that has yet to determine its religious affiliation? Would you like someone to scar you to make you Catholic because it's their "belief" though not yours? Seth If Gd is your savior and reigns forever, why do you choose to disrespect his title by casually writing it as if it were an ordinary word instead of a sacred word to be revered? Response Basis The answers are pure theology, while the Circumcision is a contract and laws which pertain to health -- the reason we wash when touching something ritually unclean, etc. Seven days is when the body is stable for blood coagulation, the eighth day is safe. For an adult, circumcision is both painful and dangerous.